This wallet is hand tooled with a flowing design inspired by the swirling sky in Van Gogh's "Starry Night" painting, and painted with vivid Japanese dyes. Please note: the photos in this listing are an example of this design. 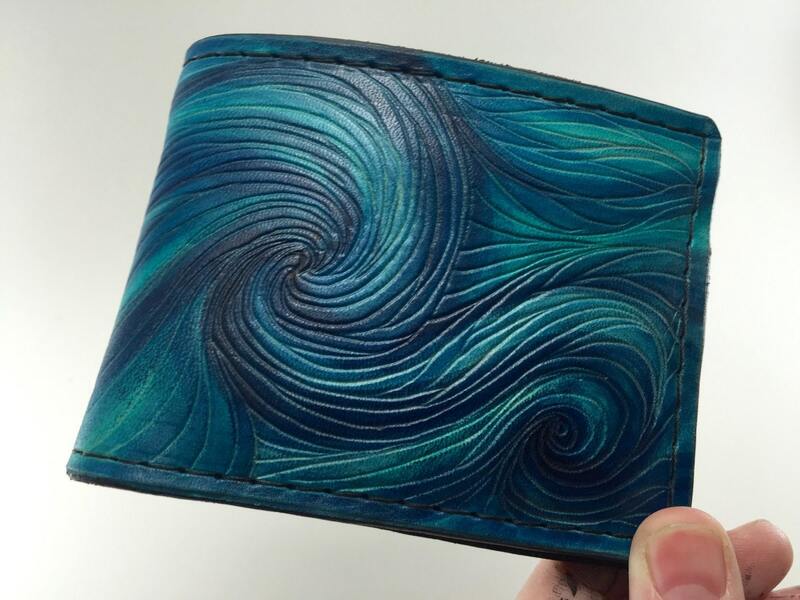 Because these wallets are tooled and dyed freehand, each is unique with slight variations. The interior has two bill pockets, six upward facing card pockets, and two receipt pockets. 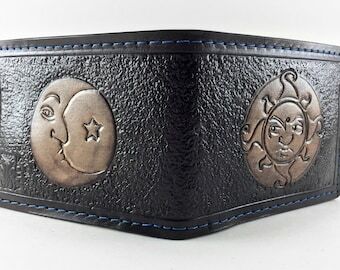 Folded, this wallet measures approximately 4.5 by 3.5 inches (9cm x 11.5 cm).